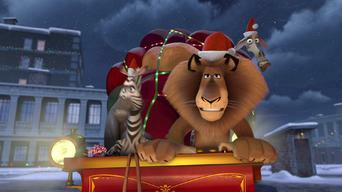 How to watch DreamWorks Holiday Classics: Collection (2011) on Netflix Argentina! Yes, DreamWorks Holiday Classics: Collection is now available on Argentine Netflix. It arrived for online streaming on October 7, 2017. We'll keep checking Netflix Argentina for DreamWorks Holiday Classics: Collection, and this page will be updated with any changes. Join your DreamWorks friends for these four holiday specials, featuring Shrek and Donkey, Hiccup and Toothless, and the wacky animals from Madagascar. Wacky creatures saving Christmas. 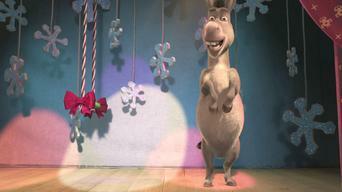 A donkey going a-carolling. An island of dragons. It's heaps of holiday fun! Season 1 of DreamWorks Holiday Classics has 5 episodes. Because different Netflix countries have different availability for episodes, you'll need to check the episode listing below to see which are available in Argentina. 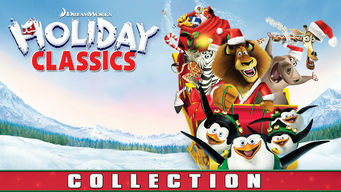 Surprises abound as the zany and lovable DreamWorks characters take you on four spirited holiday adventures to remember! 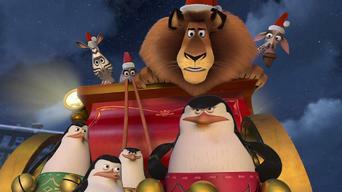 When Santa and his reindeer crash on the island of Madagascar, it's up to Alex, Marty, Gloria, Melman and those wacky penguins to save Christmas. Hiccup and Toothless (from How to Train Your Dragon) take flight in a thrilling adventure to discover an island of never-before-seen dragons. Deck the halls with laughter as Donkey presents his very own Christmas caroling stage show, featuring his merry Far Far Away pals. When a penguin goes to the city for some last-minute Christmas shopping, he gets stuffed into a stocking. It's up to his fellow penguins to save him! All of your favorite friends are together again in these four holiday specials, like the penguins from Madagascar and Donkey and Shrek. As holiday preparations escalate, Po finds it tough to please everyone. 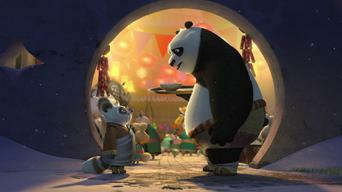 But Po follows his heart and embraces the true spirit of tradition and family. Merry Madagascar begins when Santa and his sleigh unexpectedly crash land on the island, giving the jolly gentleman a case of amnesia. Donkey of the Shrek series presents his very own caroling show featuring his Far Far Away pals in this merry musical treat with all the trimmings. 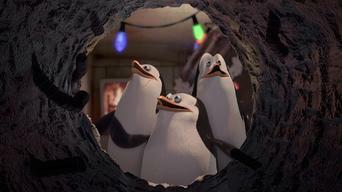 As Christmas approaches, Private gets stuffed into a stocking and it's up to his fellow penguins to save him.